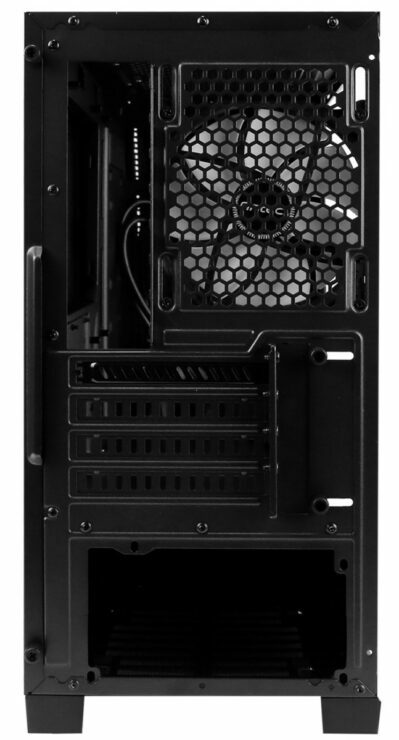 Antec one of the oldest and well known brands in computer components, cases and accessories for the gaming and Do-It-Yourself market, presents the latest mid tower of their award-winning Antec Performance Series: the Antec P6. The case is now commercially available from 59€ ($72) (suggested retail price including VAT). The latest addition to Antec’s renowned Performance Series offers a smooth and streamlined appearance – ideal for a versatile micro-ATX build that fits every environment. 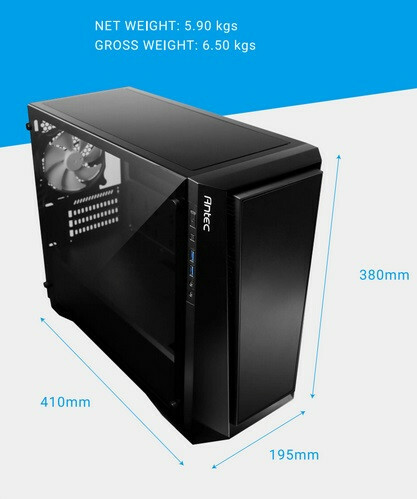 The compact powerhouse measures 470mm x 200mm x 405mm/18.5 x 7.8 x 15.9inches (DxWxH) and is compatible with micro-ATX and smaller motherboards. 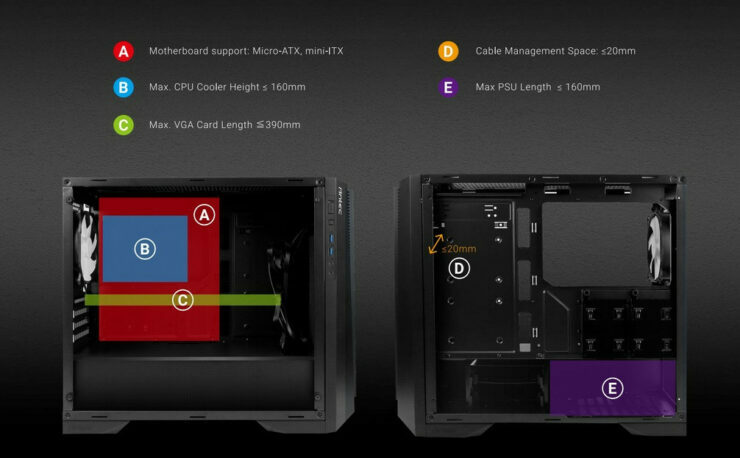 The P6 supports Graphics cards with a length of up to 390 mm and features a built-in LED logo projector to highlight the desktop set-up. 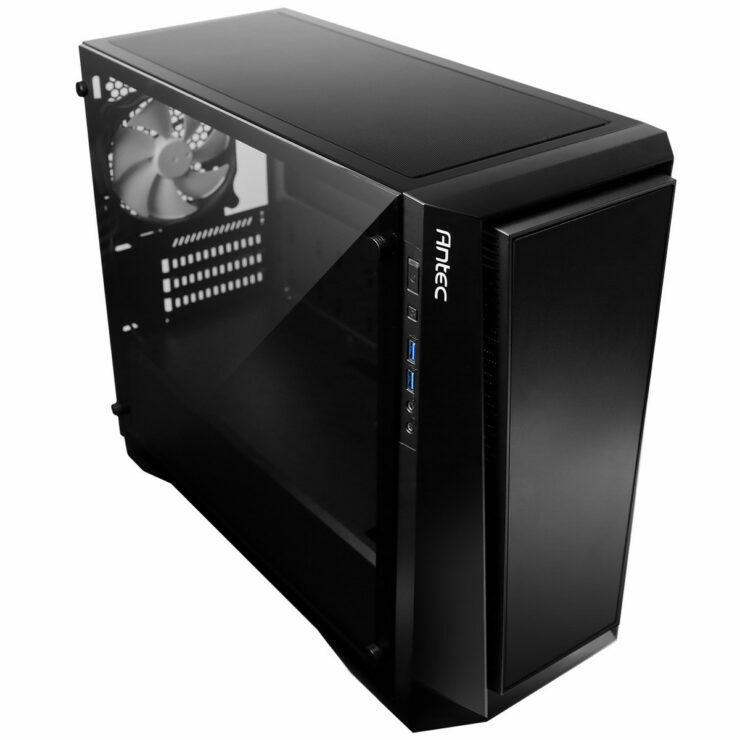 The 4 mm tempered glass side panel makes it easy to show off the build. allows to install a 240 mm radiator in the front and a 120 mm radiator in the rear. 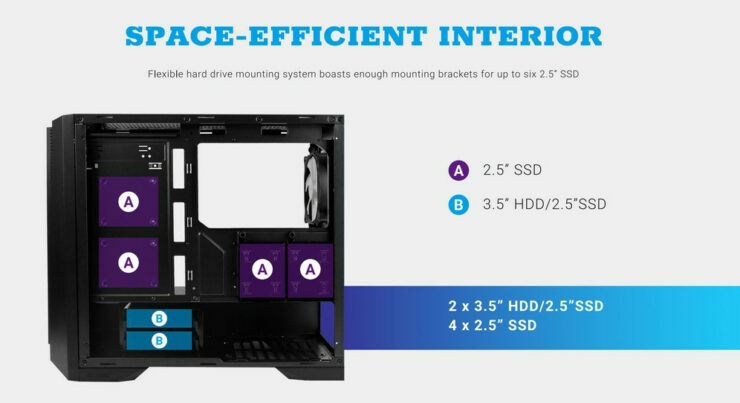 For the hard drive mounting system we have two convertible and relocatable tool-less 2.5″ / 3.5″ HDD drive cages, four 2.5″ SSD drive cages as well as four expansion slots and four PCIe slots. The front bezel features access to two USB 3.0 ports, POWER and reset button as well as MIC/HD AUDIO jacks. The separate power supply chamber allows heat to be managed efficiently. Additional features include magnetic dust filters on the top and front, a pull-out air filter at the bottom and rugged case feet. The P6 should be arriving on store shelves soon in the United States and is available now in Europe.